The trachea is one of the most understated parts of the respiratory system. Also called the windpipe, it is a tube that connects the larynx and pharynx to the lungs. The trachea is a rigid tube that is made up of several cartilage rings called the cricoid cartilage. The cartilage is a necessary support system that allows the trachea to remain open. It also prevents the collapse of the trachea with the sudden movements made on the neck. While trachea seems to be a very sturdy organ, there are times when it gets damaged due to the presence of a tumor, endotracheal intubation as well as other injuries. What makes it difficult is that a weakened and damage trachea is difficult to repair. To add more to the difficulty, tracheal replacement is a subject that is less charted until today. However, researchers from the Feinstein Institute for Medical Research have developed a way to use 3D printing to help doctors treat damage on trachea. 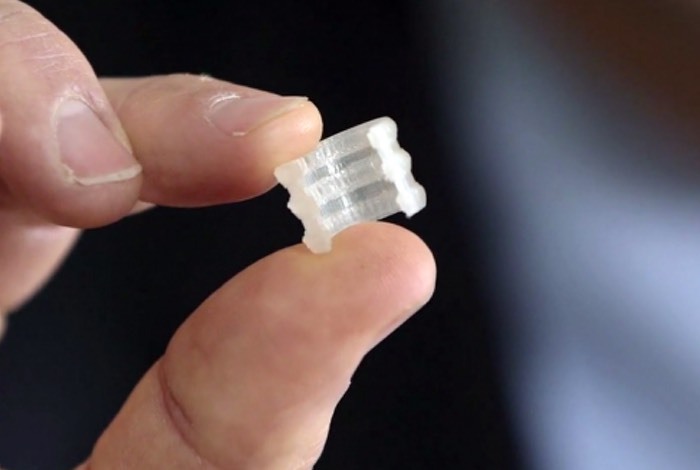 Using the MakerBot 3D printer, researchers were able to create prototypes of scaffolding for the tracheal cartilage. The scaffold was then covered in bio-ink using a mixture of chondrocytes and collagen. Researchers have used a specialized 3D bioprinter for the biomaterials used. With 3D bioprinting, researchers were able to create a 3D printed scaffolding which surgeons can examine and use as a model to help them with the tracheal replacement. Making a trachea using 3D bioprinters is an unchartered territory in the field of medical science and engineering. If they can fully develop this technology, this will be very helpful to people who needs help in patching up their damaged trachea.